It seems more certain that we’re in for our first snow of 2019 this weekend. The National Weather Service forecast for Fairfax County is for 3-4 inches, with snow moving into the area most likely after 1 p.m. Saturday afternoon. Throughout Saturday we should see light snow with about ½” on the ground by nightfall. Temperatures tomorrow will be in the low to mid 30s with calm winds. As the evening progresses, we will begin to see a steadier snowfall with an additional 2-4” overnight. Temperatures will be in the upper 20s with a light wind of 5 mph. On Sunday, snow continues and will taper off and move out of the area around by 1 p.m. Temperatures will be in the low to mid 30s with winds of 5-8 mph. There could be some additional snow showers later Sunday and into the evening, however, no additional accumulation is expected. In anticipation of the snow, Courtney Arroyo from our Emergency Management Office says in this video that now is a good time to prepare. Enjoy the first snowfall of the new year … and stay safe if you must venture out! And remember, if you have a police, fire or medical emergency, call (or text) 9-1-1. For non-emergency needs, call 703-691-2131. Even though it’s a little cool today, it really doesn’t feel like it’s winter. But it is! In fact today, Tuesday, Dec. 22, is the first day of winter. Failing to Clean the Gutters Before Freezing Weather Arrives. Cleaning gutters is important when protecting and preparing your home for the winter months. Gutters help keep icicles from forming along the roofline. Icicles may damage shingles, which can cause water to leak into your home. Going to Bed Before Heating Sources Have Cooled. Before you go to bed or leave the house, ensure that space heaters have cooled and are powered off. If you have built a fire in the fireplace, be sure that the embers are no longer burning. Forgetting to Develop a Fire Escape Plan. According to the U.S. Fire Administration, the risk of home fires increases with the use of alternative heating sources, so it’s important to develop and rehearse an escape plan. Ready.gov also has useful information, including tips on winterizing your vehicle and home, updating your emergency supply kits and a list of snow terms you’ll want to be familiar with before the weather gets bad. Visit www.ready.gov/winter-weather and click on the “before winter storms and extreme cold” link. Meanwhile, the U.S. Centers for Disease Control and Prevention (CDC) has several checklists to follow so that you’ll have what you need at home, work and in your car in case of extreme cold this winter. In addition, check out the Infographic below for more advice on what you can do now to prepare. Bookmark our weather page so you’ll have the latest forecast when you need it. Find useful information and other helpful links on our winter storm, snow and cold information page. For the most current winter weather conditions and predictions, visit the local Weather Service winter weather Web page. See the locations of county warming centers. Learn what to do to keep your pet(s) safe this winter. Find out how to report power outages and stay safe during electrical outages. Finally, when inclement weather arrives, please remember to get where you need to be before the weather gets bad! 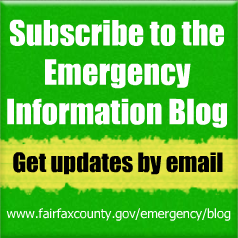 Posted at 5:18 a.m.; Updated at 5:51 a.m.
Fairfax County Government offices will open at 10 a.m. today, Friday, March 6. Employees have been granted unscheduled leave. Emergency service personnel should report as scheduled. Fairfax County Public Schools are closed today, Friday, March 6. School Age Child Care (SACC) centers are closed. The Fairfax County Circuit Court, General District Court and Juvenile and Domestic Relations District Court will open on time. All Department of Neighborhood and Community Services community, senior and teen centers are closed today. Fairfax Connector bus service may be affected by the inclement weather. Check the Connector Web page at fairfaxconnector.com for the current operating status. For information about FASTRAN, call 703-222-9764, TTY 711, or online at fairfaxcounty.gov/ncs/fastran.htm. Fairfax County Public Libraries are closed today. View the public meetings calendar for any potential cancellations of public meetings of Fairfax County government Boards, Authorities or Commissions. Emergency information is available on Fairfax County’s website (www.fairfaxcounty.gov), Facebook (www.facebook.com/fairfaxcounty), Twitter (www.twitter.com/fairfaxcounty), Fairfax Alerts at www.fairfaxcounty.gov/alerts or by calling the Fairfax County Emergency Information Hotline at 703-817-7771, TTY 711. 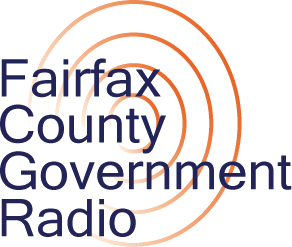 Fairfax County Government Radio (www.fairfaxcounty.gov/radio) will announce county government closing status and also broadcasts weather forecasts several times per hour. Winter weather preparedness information can be found online at >www.fairfaxcounty.gov/emergency/prepare/winter. 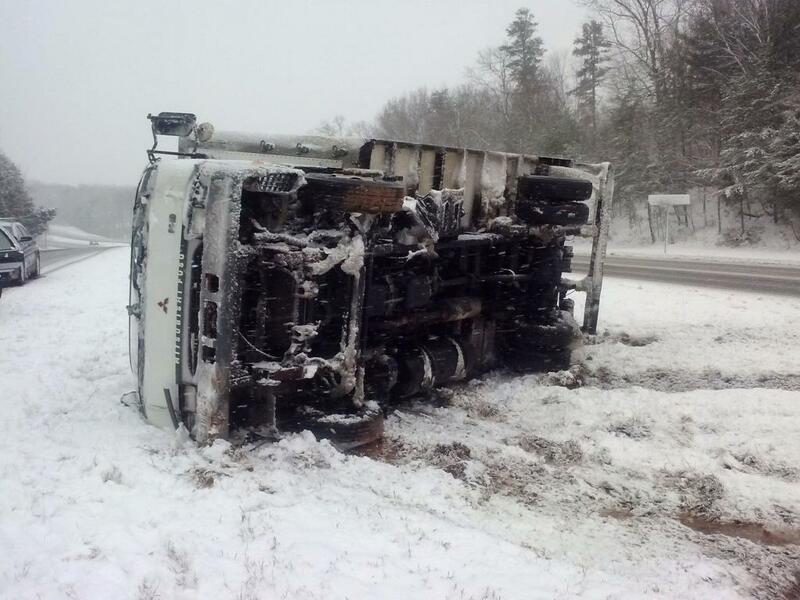 Police are receiving numerous accident reports as road conditions worsen. Road conditions remain treacherous around the region this afternoon and there are multiple road closures throughout the county. Fairfax County 9-1-1 has received calls from drivers asking about abandoning their vehicles. These vehicles will be towed at the owner’s expense. If you can safely move your vehicle out of travel lanes you can call a tow truck to get the vehicle home; any vehicle left for more than 12 hours or deemed a road hazard by the police will be towed. Abandoned vehicles may also contribute to accidents and the owner will be ticketed in this event. Exiting your vehicle puts you and other drivers in danger. If your vehicle is stuck and you are in danger, call 9-1-1, but otherwise you should have it towed. Please remain off the roads if possible. Visibility is limited, temperatures are dropping and conditions are further deteriorating. More than 3,800 trucks continue to plow roads in Fairfax, Loudoun, Prince William and Arlington counties according to VDOT. Staying off the roads allows crews to work safely. Crews are spreading salt and abrasives, as appropriate, concentrating their response efforts on the most heavily traveled routes. VDOT’s goal is to have all state-maintained roads passable within 48 hours after a storm ends. This storm; however, may deliver a second punch as temperatures drop to record levels and icy conditions remain likely into Friday. Fairfax County Government offices are closed today, Thursday, March 5 and employees are granted emergency administrative leave. Emergency service personnel should report as scheduled. The Fairfax County Circuit Court, General District Court and Juvenile and Domestic Relations District Court also are closed today. Fairfax County Public Schools are closed today, March 5. School Age Child Care (SACC) centers are closed. For Department of Neighborhood and Community Services programs and events visit fairfaxcounty.gov/ncs or call 703-324-4600, TTY 711. Winter weather preparedness information can be found online at www.fairfaxcounty.gov/emergency/prepare/winter.